Ravi DeRossi is changing concepts at Cienfuegos, his Cuban-inspired rum bar-restaurant upstairs that opened nine-plus years ago at 95 Avenue A and Sixth Street. The new space will be Honeybee's, specializing in plant-based Texas BBQ and bourbon and rye. 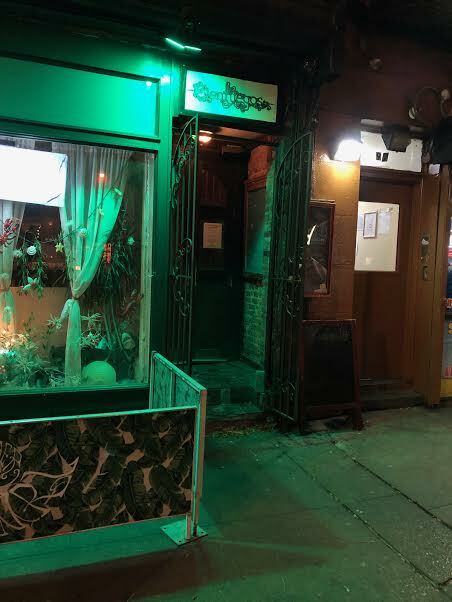 "It's been almost 10 years since I opened Cienfuegos," DeRossi said in an email. "It's still one of my favorite places, but it's time for a revamp. I was either going to update the decor, menu, etc., or completely change the concept. In the end I decided it would be a lot more fun to change the concept." Like his other restaurants — LadyBird and Avant Garden, among them — the menu will be all vegan. He's still finalizing the food-and-drinks lineup and design. The change from Cienfuegos to Honeybee's is on the agenda at tonight's CB3-SLA meeting. You can find a PDF of the application at the CB3 website. The corner space on Avenue A and Sixth Street also houses two other DeRossi operations — Mother of Pearl and Amor y Amargo. What a shame. Cienfuegos was great - especially considering the happy hour specials. I consider this a loss for the neighborhood... there was a low-key elegance to the place. Yeah, I used to take all my out-of-town friends to Cienfuegos. I won’t be taking them to a plant-based BBQ bar. I’ll go on my own to give it a shot, but losing Cienfuegos is a shame.